Spinal cord injury, whether or not it results in full or partial paralysis, has a number of physical effects. Limitations on mobility, loss of sensation, muscle spasms and loss of bladder control are all possible results depending on the site and severity of the injury. For someone experiencing life following a spinal cord injury, the changes are not just physical. Sudden paralysis following an accident can cause a state of emotional vulnerability, and a person is unable to work or care for loved ones while devoted to rehabilitation. Injured people should be able to rely on their insurance coverage in these times of distress. Policies are sold with the promise of peace of mind in the event of tragic and unexpected injury. When that promise is not kept, peace of mind can turn to devastation. 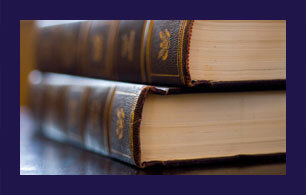 Clonfero Law Firm has the rights of injured people as its central focus. When an individual or family comes to us following a spinal cord injury, our lawyers in Toronto start by asking about their needs and concerns. Often, we hear that their lives have been turned upside down, and they need support for their day-to-day bills, mortgage or rent while focused on rehabilitation. The assistive devices, mobility aids, home and vehicle modifications, and paramedical therapies that make such a profound impact on an individual’s way of life and recovery after a spinal injury may be out of reach. We are here to help. Our team offers options for courses of action that can help individuals and families access the support they need and deserve. Over the past 19 years, René Clonfero has been a passionate and successful advocate for injured people; he and the rest of our team share the same dedication and focus on client care. Call us at 416-703-2077 in Toronto or 1-416-703-2077 toll free in Ontario or use this site to send us an email. Meeting with us is free, and we receive no payment until we secure you compensation in your legal case. If you cannot come to our offices, let us know. We can meet you at your home or place of medical treatment.